IT HAS BEEN over half a century since restrictions on tax-exempt 501(c)4 organizations – defined broadly as civic leagues and groups whose primary function is to “promote social welfare” – were spelled out in detail. It was then, in 1959, that the IRS modified “social welfare” to exclude “direct or indirect participation or intervention in political campaigns.” Since modern (c)4’s must play by the rules lest they relinquish their tax free privileges, it seems on the face of it that they would avoid meddling in politics. But everyone knows this isn’t the case. Crossroads GPS, the (c)4 arm of Karl Rove’s American Crossroads, is a case in point. The conservative advocacy group spent over $213,000 on federal elections last year. How, one might ask, is that permissible? Check the fine print: According to the IRS, “an organization that primarily engages in activities that promote social welfare will be considered under the current regulations to be operating exclusively for the promotion of social welfare.” It’s easy to engage “exclusively” in something when the meaning of the word is watered down beyond recognition. According to the Washington Post, tax lawyers have taken all of this to mean that (c)4’s can keep their tax status as long as they spend at least 51 percent of their resources on social welfare. Now, nearly 55 years since the issue was last dealt with in depth, the IRS is proposing clearer boundaries for political activities that should not be considered social welfare. An outline released just two weeks ago proposing the rules changes is considered by most experts to be a significant first step, signalling what’s likely to result in drastic revisions to current practice. Still, some are skeptical about the potential outcome, claiming that so-called “dark money” will simply filter out of (c)4’s and into other 501(c)s, such as (c)6’s. Others, mostly on the right, call the proposal a political move, the latest in an “unfortunate pattern” that began with the IRS’s targeting of conservative grassroots advocacy groups. Whichever one’s take on the matter, (c)4’s are inevitably in for the makeover of a lifetime. RESTORE OUR FUTURE, the largest Super PAC to date, is the fundraising behemoth that was behind the Romney campaign. Its millions buttressed the ad blitz that arrested Speaker Gingrich’s primary momentum. Its donors have included millionaires, billionaires, federal contractors, and a phantom company that PAC, American Crossroads). A no less cogent designation has been applied to RoF’s very own Larry McCarthy, “attack ads’ go-to guy.” McCarthy is none other than the man who created the paragon of attack ads, the 30-second Willie Horton broadcast that knocked the wind out of Michael Dukakis. Though the Horton bit remains matchless, McCarthy’s Iowa ads stirred just as much frustration in their target (Gingrich), and in the fact-checkers who bestowed them with four Pinocchios. The Sunlight Foundation has a webpage called “Follow the Unlimited Money,” which reveals how RoF’s cash is spent. So far 90% of its expenditures have been piled on attack ads, $89 million of which opposed Democrats and $40 million of which opposed Republicans. The remaining 10% went to positive ads for Republicans. A Democrat has yet to receive a dime. Who’s Afraid of American Crossroads? Like you didn’t see that one coming: a pair of campaign-finance watchdog groups have asked the Internal Revenue Service to investigate Crossroads GPS, a conservative nonprofit that is spending heavily (and when we say “spending heavily,” we mean it), to influence the midterm elections. If you watch the news, read Politico, or dig around the FEC site as a pastime (not us… ok maybe a few Friday nights FEC.gov has provided entertainment), you have heard about American Crossroads. Since its creation earlier this year, many in the media have cast shadows of doubt on the activities of the political grassroots organization. So we decided to whip up a quick, fact-based rundown for those who aren’t clear on what American Crossroads is, think Crossroads GPS might be a global positional system, or are just excited by anything that comes out of the prolific mind of Karl Rove (you know who you are). FACT 1: American Crossroads is not a cover for an underground mobster. It is actually organized as a 527 committee under the IRS tax code, has a DC office, and even a phone number that you can call on. And, being a 527 group, it’s actually within legal limits to collect unlimited contributions. While it remains to be seen if the FEC or IRS will crack down on it for abusing the law as alleged, on paper at least, it seems to be cautious and regularly filing its required documents within deadlines. FACT 2: Crossroads GPS is not a space-based global positioning system. It is, however, an offshoot of American Crossroads, formed last June as a 501(c)(4). And because it has a 501 (c)(4) status, it does not have to disclose its donors. However, since a majority of a 501(c)(4) nonprofit’s activities must be apolitical, Crossroads is in the hot seat as yet another nonprofit allegedly operating as a lobbying outfit that doesn’t get to pay taxes. 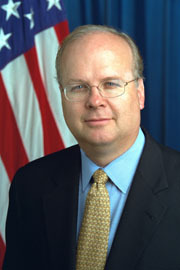 FACT3: While Karl Rove is one of the founders of American Crossroads, he doesn’t actually run its daily operations. He’s more of an informal advisor, the fundraising brains, guru — you get the drift. A guy named Steven Law is the CEO (for those of you who don’t read your Wash Reps Weekly, Law is a former deputy secretary of labor in the Bush administration and was previously general counsel to the US Chamber of Commerce). The FEC filings of American Crossroads show that between mid-August and early October, the organization had already filed 21 contribution notices, reporting massive media spending of almost $18 million. Just to give a rough idea of the nature of the contributions, they include media expenses to oppose the campaigns of Democrats Michael Bennett (Colo.) and Jack William Conway (Ky.), and to support Marco Rubio (R-Fla.), among others. While one can argue against the wisdom of the FEC and IRS laws being too easy to manipulate, it can’t be denied that American Crossroads seems to have done its homework and done it well. If there’s a scandal in here, it’s definitely not flagrant and in-your-face a la Abramoff. Posted in Campaign Finance, Lobbying Research | Comments Off on Who’s Afraid of American Crossroads?